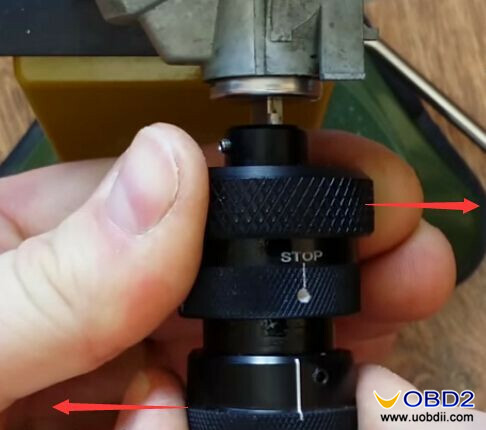 First make the gate wheel line and turbo wheel line in a straight line as picture show, then pull the gate wheel until you see “STOP” to open the gate wheel. 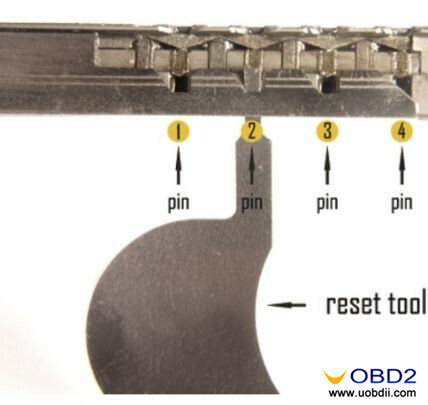 Push the pick (reset tool) against the pins to make them open to maximum position. 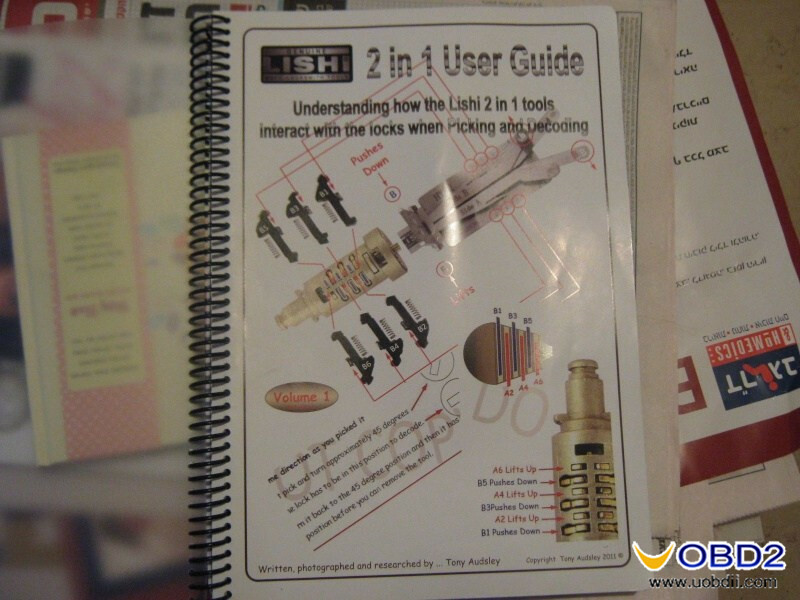 Push back the gate wheel to close and turn the turbo wheel line to right maximum position. 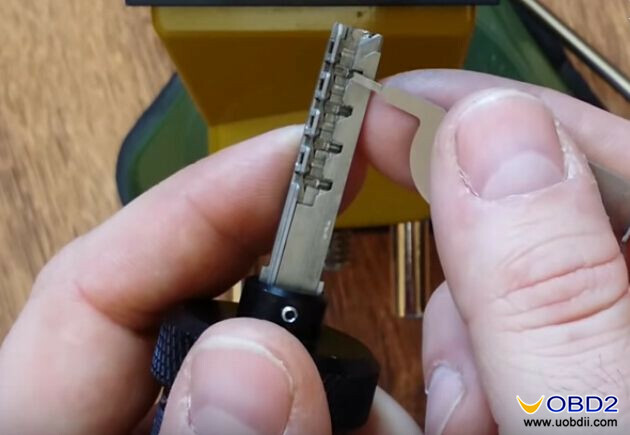 Use the tester key to test which key blade side upwards to unlock the lock. 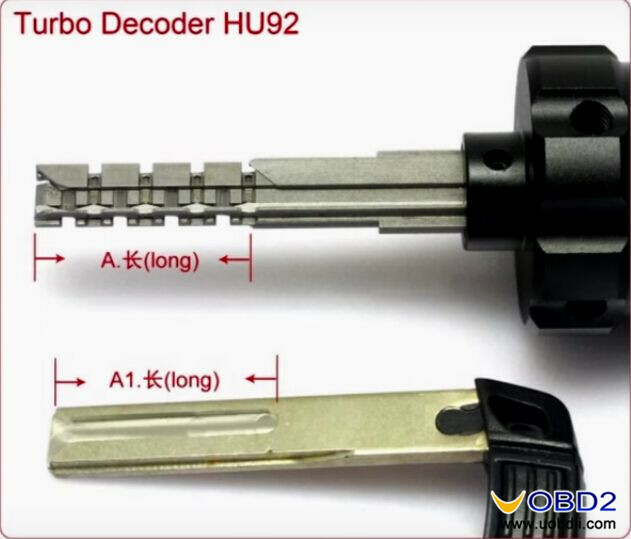 If tester key short side upwards can fully insert in the lock then you should use Turbo Decoder short side upwards to unlock, vice versa. 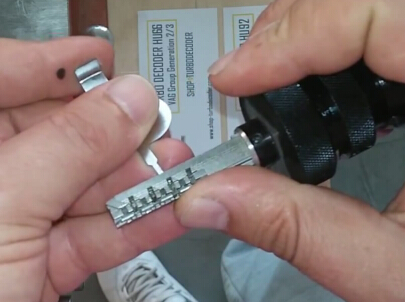 Holding the gate wheel insert Turbo Decoder HU92 into the lock. 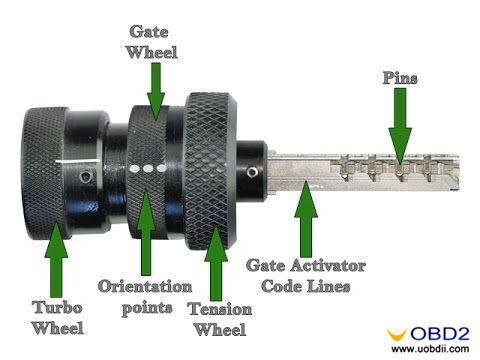 After insert decoder open the gate wheel. 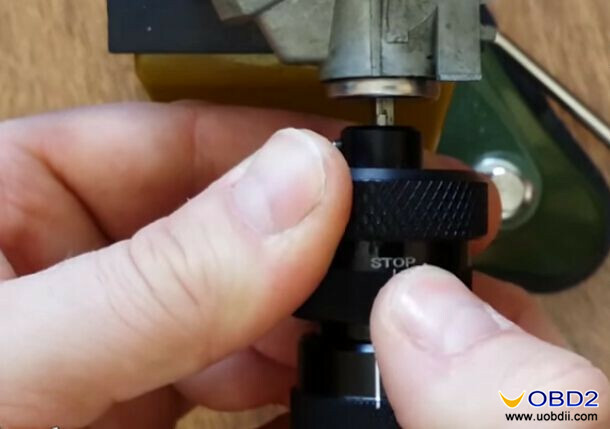 Turn the tension wheel slowly to right with tension. 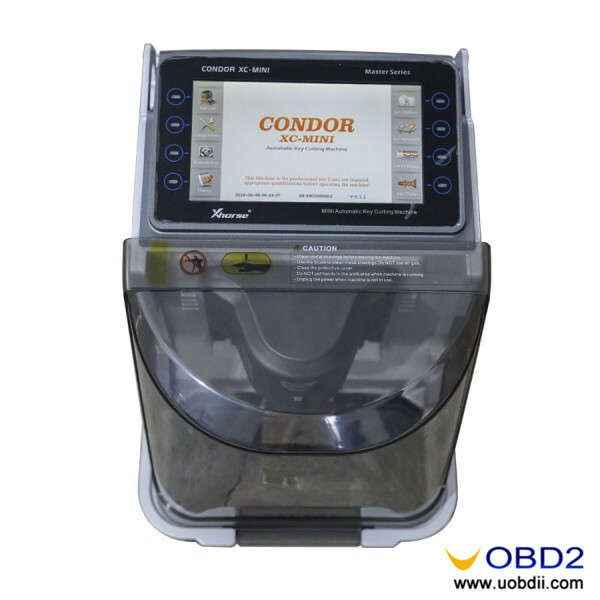 At the same time turn the turbo wheel maximum to left then turn it back. 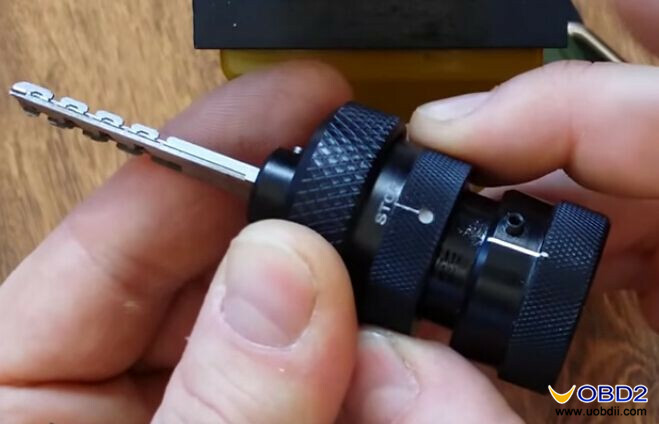 Repeat several times and juggle a little bit until the lock can be fully open. 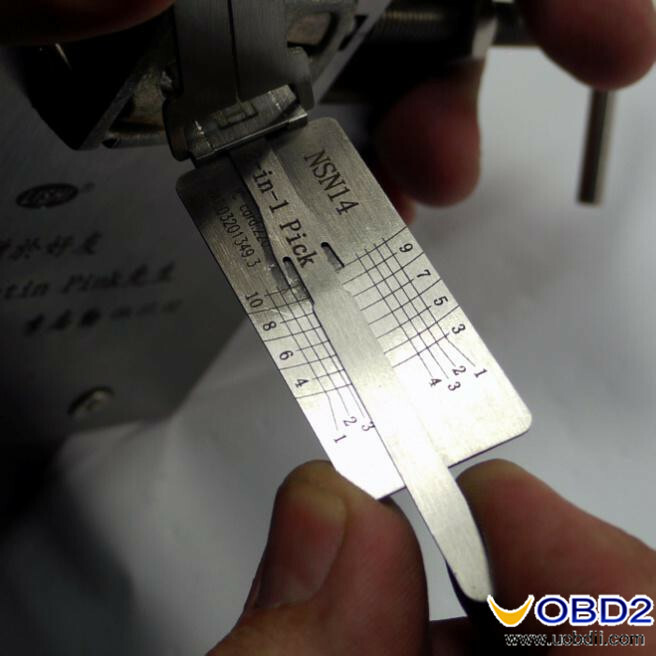 Now close the gate wheel (push it back) and turn the turbo wheel line maximum to right. 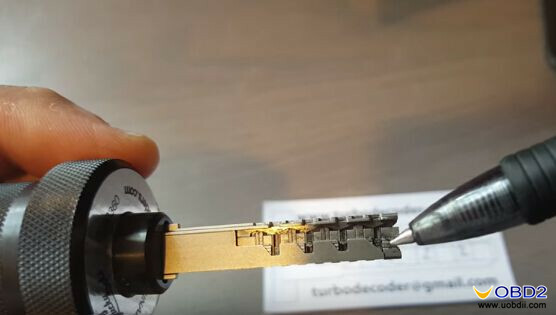 Holding the tension wheel and pull out Turbo Decoder. 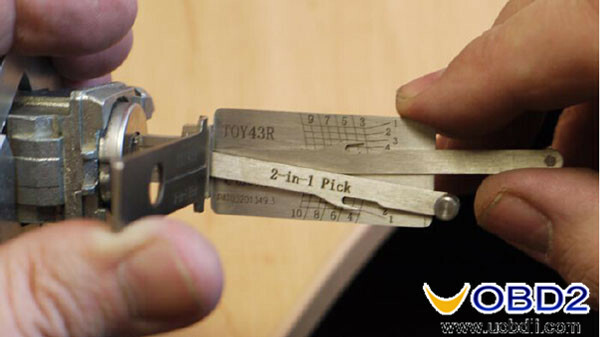 Step3. 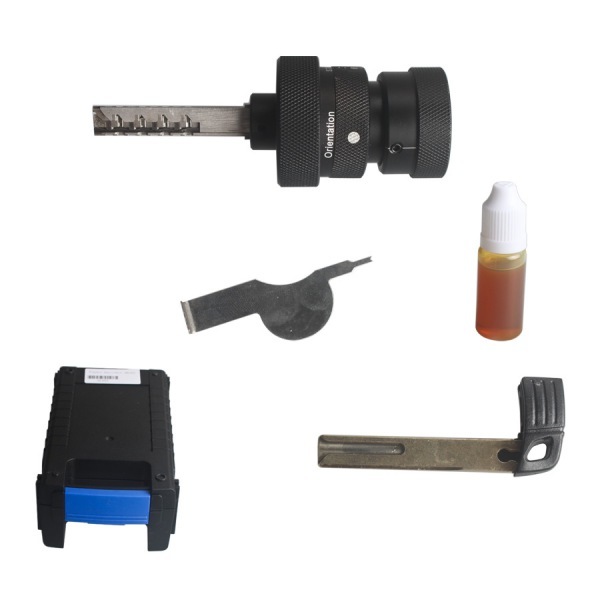 Read the key cutting code and use Condor XC-MINI Key Cutting Machine simply enter the code to cut a new key. 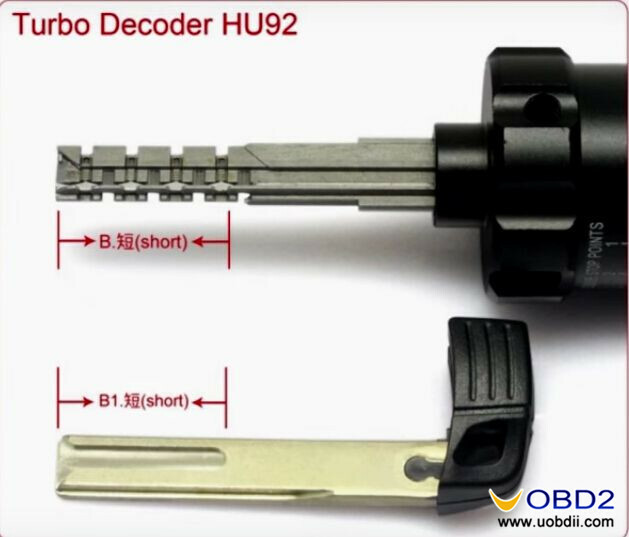 UOBDII Official Blog All rights reserved (Guide) How to use BMW HU92 Turbo Decoder lock pick set?